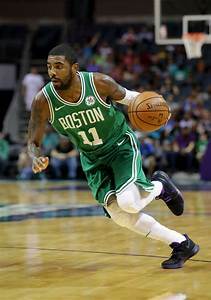 Boston Celtics @ Denver Nuggets NBA Betting preview for Monday, November 5, 2018. Written by National Basketball Association Betting Analyst Al Presto. Charliessports.com produces it for Basketball Betting. NBA Daily Predictions are the best in the industry and will continue through the NBA Finals in June of 2019. The (6-3) SU, 4-5 ATS Boston Celtics began their five-game road trip with a 102-101 SU loss as a 3 and a half point road FAVORITE ATS to Indiana on a last-second Victor Oladipo three-point shot. Boston is two and a half games behind first-place Toronto in the Eastern Conference Atlantic division. The Celtics will face Denver, Phoenix, Utah, and Portland before returning home on November 14th to host Chicago. Boston is 2-9 ATS their last eleven as ROAD UNDERDOGS. The UNDER is 4-0 Boston last five on the road. The Celtics are 1-7 ATS their last eight on the road against a home team that has a home winning percentage of more than 60%. UNDER bettors have cashed in the Celtics last five after an SU loss. The (8-1) SU, 6-3 ATS Denver Nuggets are playing at an elite level the first two and a half weeks of the 2018 season. Denver beat Utah their last game 103-88 SU as four and a half point home FAVORITES ATS extending their SU winning streak to four games. The Nuggets outscored Utah 35-15 in the finals quarter to pull away from their Northwest division rivals. Denver along with Golden State, Toronto, and Milwaukee team with one loss and all four on first in their respective divisions. UNDER bettors have made profits Denver last five home games v. a team with a winning SU road record. The OVER is 4-1 the last five meetings between the teams. The UNDER is 4-0-1 the Nuggets last five after scoring over the century mark their previous game. Monday’s game is at 9:05 PM EST at Pepsi Center in downtown Denver, Colorado. The Local Television Network will be broadcasting. The Opening Betting Line has Boston as two-point road UNDERDOG ATS. The TOTAL is 209 points for Monday’s contest. Despite losing then free agent acquisition Gordon Hayward the first game of the 2017-18 season the Boston Celtics still were a game away for making it to the NBA Finals. With LeBron James no longer in the Eastern Conference expectations are through the roof in Beantown but theirs no certainty especially with Kawhi Leonard in Toronto. Head Coach Brad Stevens is brilliant designing schemes at both ends of the floor which is why they’re the only team in the league that gives up an average of fewer than 100 points (99.8) ppg. The Celtics score an average of (103.9) ppg which ranks 28th in the NBA and the (48.2) rebound per contest they grab is sixth in the NBA. Point Guard Kyrie Irving leads the team in scoring with (17.9) ppg along with (5.3) assists per game. Second-year forward Jayson Tatum pulls down a team-best (7.7) rebounds per contest while scoring (15.8) ppg, second on the team. The Celtics have bought into Stevens philosophy of defense, and it showed as they held a high powered second-ranked Milwaukee offense to 113 points in a recent four-point home win. The organization is monitoring Hayward’s minutes while he gains more confidence after recovering from his gruesome injury. Boston must continue to clamp down on defense to get a win tonight. Bovada.Lv, list the Boston Celtics at +135 to win the 2018-19 NBA Eastern Conference Atlantic Division. Of all the team’s in the NBA the Denver Nuggets could have the best start of any in the league. After missing the playoffs, the past five season’s fan in the Mile High City sees a change in culture. Known for playing at a fast pace the Nuggets allow opponents (101.9) ppg third in the league on .44% shooting from the field. Leading scorer Gary Harris averages (18.9) ppg on the 14th ranked scoring offense in the NBA, and the former Michigan State star is an elite defender. Center Nikola Jokic grabs a team-high (10.0) boards per contest on the leagues fifth-ranked rebounding team. Everyone seems to be buying into head coach Mike Malone’s system, and it’s paying dividends. Denver has won twelve in a row SU at the Pepsi Center and you can Boston can’t wait to take the court to break the streak. The Nuggets are shooting (46.6)% from the field which is tenth overall in the league. Point Guards Jamal Murray along with Monte Morris will have their work cut out defending Irving and Terry Rozier. The Nuggets must shoot a higher percentage from the field tonight to get a win over a hungry Boston Celtics team. Power Forward Paul Millsap must defend Al Horford in the post with an aggressive style. Bovada.Lv, list the Denver Nuggets at +275 to win the 2018-19 NBA Western Conference Northwest Division Crown. Free Pick. Boston-2 Points. Also Play Online Poker Plus Other Casino Games and enter some of the best Tournaments on the World Wide Web.